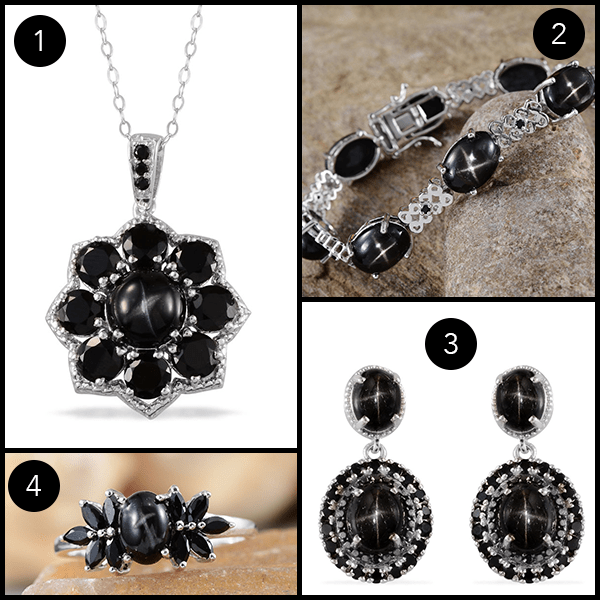 Frequently called the “Black Star of India,” Indian black star diopside is a carbochon cut gemstone featuring a blazing white four-pointed star radiating against an inky black sky. Diopside is a mineral that forms as an accessory mineral in many environments. The name comes from the Greek word “diopsis,” which means “two kinds of vision.” The two kinds of vision refer to the fact that diopside exhibits pleochroism. Pleochroism is an optical phenomenon in which a substance appears to be different colors when observed at different angles. 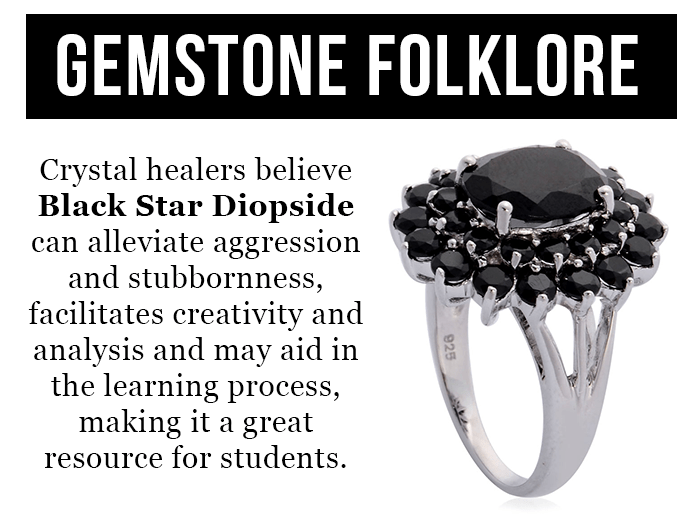 The black star diopside gemstone is formed from calcium magnesium silicate with needle-like inclusions that create the star-like effect. Indian black star diopside is unique and rare in that its star is a four-pointed cross. Sometimes this rare beauty is mistaken for black star sapphires, which exhibit a six- or twelve-pointed star. Although diopside is available from a variety of locations, India is the primary source for exquisite quality black star diopside. Provisions for Indian diopside are scarce; therefore the LC is proud to be able to bring this extraordinary find to market. Discover more information about this stunning stone in the LC’s Education Center. Be sure to join the LC today from 12 a.m. to 6 a.m. CT and again from 12 p.m. to 6 p.m. CT for an opportunity to acquire your own Indian black star diopside at amazing prices!